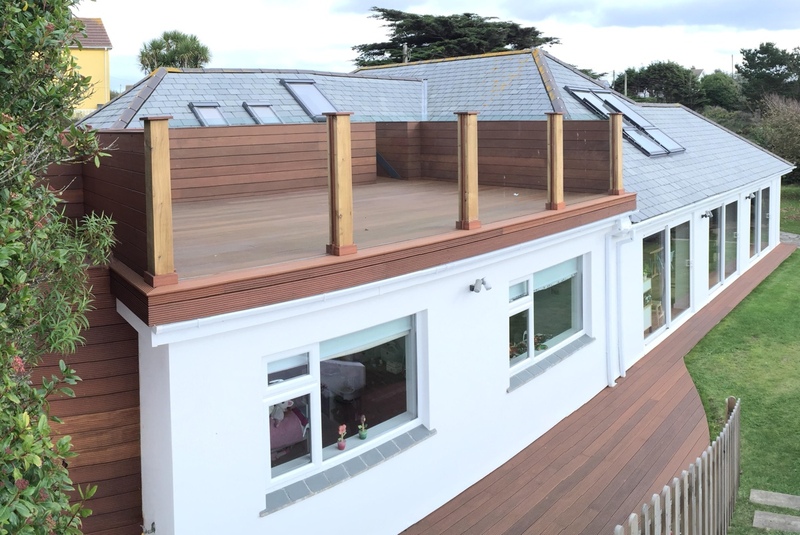 We were employed to design and build a wooden roof terrace at this stunning property near Watergate Bay. “Matt and Treescape started work on our roof deck last Spring after a few months planning. Even at that stage Matt’s time and effort was exceptional and I knew right away we had the right man for the job. The roof deck was part of a complete new build and represented the last stage of a 7 year project. We have had years to picture exactly what we wanted and so choosing the right people was very important to us.